SmartMat Yoga Mat: Your Portable Yogi! SmartMat is the world’s first intelligent yoga mat that guides you and provides feedback to enhance your yoga practice sessions with no studio needed. If you’ve been tuning in regularly to our Technology Thursday features here on the PricePlow blog, you’re well acquainted with most of the gadgets we’ve covered, like the Skulpt Aim or Amiigo. All of the devices covered so far have been helping you with high intensity workouts, maximizing the weights you push, or tracking body composition. Today’s piece of technology is to help you mellow out on those active recovery days. Today, we’re covering the SmartMat! We all know that recovery and downtime from working out is a must to let the body and mind repair and recharge sufficiently to build new muscle and prevent any signs of overtraining. All sorts of activities can qualify as active recovery, with yoga being one of the most popular options today. The SmartMat is the world’s first “intelligent” yoga mat[3,4] that provides feedback your yoga poses and gives cues on how to hold the correct posture. How does it fix my Downward Dog? SmartMat uses a combination of alignment and balance measurements to help you find your own individual Perfect Pose. The creators of SmartMat employ something known as “Perfect Pose Technology” to correct your form. The outside of the mat looks like any other regular yoga mat you’d see at the store, but the top and bottom layers are actually made of PVC. Between the two layers lie over 21,000 pressure sensors, that track your placement on the mat as well as your weight distribution. In tandem with the companion smartphone app, the two work together to monitor your movements and provide feedback on how to correctly align your body to achieve the ultimate “ommmmm” while holding your favorite Warrior pose. So you may not want to practice in the silence of your own home but afraid to bring the conversational mat with you into a crowded, snooty yoga studio. The makers of SmartMat have you covered either way! Best for at-home use, this mode allows the user to choose a “class” and follow along with the companion app. You’ll receive real-time feedback as you move through the various asanas and hold each pose. This mode provides visual or audio prompts while using the SmartMat during a human-instructed class. Perfect for when you take the SmartMat to your local yoga studio and want to work out in a group dynamic. Here, the SmartMat just tracks and records the positions held during your session without providing any real-time feedback. 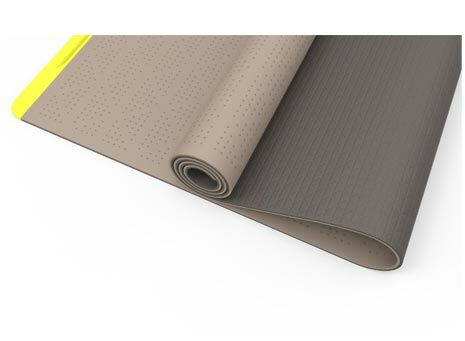 SmartMat has over 21,000 pressure sensors sandwiched between its flexible outer PVC layers providing precise tracking of all your yoga movements and postures. Rolls up like a traditional yoga mat so you can take it on the go! The makers of SmartMat have taken quite a lot of the guess work out of yoga and made it more accessible to the average gym rat. By providing real-time coaching, it’s no longer required to go to a yoga studio or do a follow along DVD at home (where there is no feedback). If the SmartMat works as intended, it could spark a new wave of yoga enthusiasts in the fitness population and possibly move out of the “chick” category of exercises. 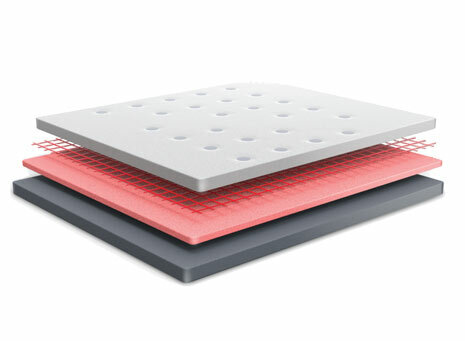 The SmartMat is still in the crowdfunding phase and shipments are expected to start later this year. Stay tuned to PricePlow for the latest in new gadgets and gizmos that will enhance your fitness life and make sure to sign up for alerts so you always get the best deal! No Comments | Posted in New Products | Tagged Yoga, Yoga Mats.